The little newborn who was born just two days ago reaches out her tiny hand to hold my finger and opens her eyes widely, trying to decipher my face and see if it matches her mother’s face. The newborn’s calm demeanor that hasn’t yet been touched by the world is pure innocence. Mom and dad are so exhausted! They’ve just gone through childbirth that has tested the parent’s partnership. They are worried, but it’s because they want to do the best job they can for their new baby. They are so tired, but they are overjoyed. Inspiring. The 2-year-old who is discovering the world! Some are so curious, touching everything. Some are afraid of me, because they are very aware that I am not a familiar face. Just maybe this 2-year-old remembers that last time he had gotten a vaccine injection and it sort of hurt! The brain is soaking up as much as it can every day. So curious! Mom knows so well that her 2-year-old has a mind of his own. The kid will not open his mouth to eat spinach just because she says so. If he doesn’t get what he wants, he throws a tantrum hoping it will work. But mom tries to work with him patiently. Inspiring. The 5-year-old, who is ready to take on the world!—starting to read and learn numbers and shapes—all of a sudden the outside world is starting to make more sense. Ready to go—enthusiastic, with so much energy! The mom and dad know that the 5-year-old, who is becoming ever so independent, now needs mom and dad more than ever. Their child is starting school and is now entering the real world. Mom and dad are staring to organize and prepare for this new challenge more strategically. They are ready to keep at it with persistence because they will never give up on their child. Inspiring. 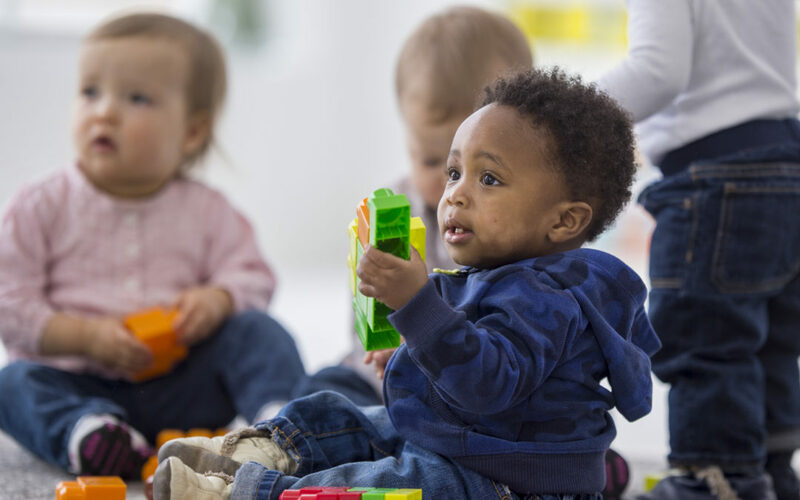 Innocence, joy, curiosity, patience, enthusiasm and persistence are just a few words that come to mind when it comes to nurturing and supporting children 0-5 years of age. I am humbled by the number of ways that our children need to be nurtured. However, not all children get an equal opportunity. It is imperative that gaps in our community be identified and that we focus resources to fill those gaps. Each child in our county one day becomes a teenager and then an adult in our county. And we are all part of one community in the end. Sometimes these gaps are overwhelming! But it doesn’t mean we can’t persevere, or keep trying. First 5 San Mateo County hopes for all of our children age 0-5 to thrive. And we should continue to use the children themselves as our inspiration—because they deserve it. If there is any doubt, just spend a few minutes with a young child and imagine his or her potential. Stay tuned to hear about some of the projects First 5 San Mateo County is working on. The work is, indeed, truly inspiring!